As well as providing services to individual members, the AWG is also about enhancing Australian performance writing as a whole. In this role, the AWG’s vision is to see performance writing and performance writers thrive as a dynamic and integral part of Australian storytelling; shaping, reflecting and enhancing Australia’s cultural voice in all its diversity. We work closely with our experienced and highly-regarded members to undertake research, lobbying, advocacy and strategic initiatives on behalf of screen, stage, radio and interactive writers collectively. The AWG is the voice of performance writers in federal and state governments, industry bodies, sector organisations and the wider community, promoting the role, recognition and reward for performance writing in Australian society and culture. Sorry, there are no posts available at the moment. The campaign was launched on 18 September 2017 through a National Day of Action with events being held in Sydney, Melbourne, Adelaide, Hobart, Perth and Brisbane. Find out more about the campaign and get involved here. Australian playwrights and screenwriters will put some of the country’s political leaders under the spotlight at a special national debate on arts funding on 8 June 2016 in the run-up to the Federal Election. Members of the Australian Writers’ Guild (AWG) will join professionals from across the nation’s arts, screen and culture sectors at a National Arts Debate at the Wheeler Centre in Melbourne organised by ArtsPeak, a federation of national peak arts organisations. Recommendations by the Federal Government’s Productivity Commission to cut copyright protection in Australia would have a devastating impact on the nation’s screenwriters and other authors. The draft recommendations – that include slashing the length of time copyright protects an author’s work from 70 years to as little as 15, together with the introduction of US-style ‘fair use for copyright works – showed the Productivity Commission has a profound lack of understanding of the writing process. The AWG has made submissions to this Inquiry and has urged its members to do the same. 2015 was a turbulent year for the Arts and artists in Australia. First, the federal government slashed Australia Council’s grants funding and announced the National Program for Excellence in the Arts (NPEA). The industry responded with a wave of national protests. The arts community was united and outraged. Senator Ludlum successfully called for a Senate Inquiry into the impact of the 2014 and 2015 Commonwealth Budget Decisions on the Arts, which took submissions and held public hearings around the country. In the meantime, the new Minister scrapped the NPEA, partially reinstated funding to the Australia Council and unveiled his own Australian Arts and Culture Fund renamed Catalyst. 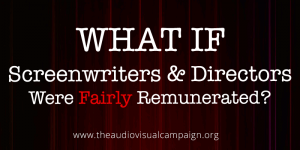 Writers and Directors Worldwide (WDW) have launched a worldwide campaign under the hashtag #TheAudiovisualCampaign that aims to create awareness and encourage changes in law that will result in a fairer share of income for content creators from films and TV programs. They are inviting Australian writers and directors to look at what is being done internationally to protect creators’ interests. In 2013 the AWG along with the ADG, MEAA and SPAA launched the ‘Australian Screens. Australian Stories.’ campaign to hold the government to account on the findings of its own Convergence Review. We are still fighting the battle for Australian content on Australian screens. Click on the links below to see how the story continues to unfold. On 8 February 2018, the AWG made a submission to the Inquiry on Australian Content on Broadcast, Radio and Streaming Services. The AWG submission argued that the government should, through policy intervention, promote and defend Australian culture by supporting Australian screen content. It submitted that the current regulatory framework is fit for purpose, but that it must be updated to be platform-neutral and to create parity between the commercial broadcasters and online content providers, both foreign and domestic, and these claims were supported through two key arguments. To read our full submission, please see AWG submission to the Inquiry on Australian Content on Broadcast, Radio and Streaming Services. Ensure funding of the ABC and SBS is at a level that enables them to properly support and promote the creation of new Australian scripted drama, children’s content and documentary programming in accordance with their respective charters, and incorporate quotas to ensure clarity and transparency in expenditure or scripted content. On 9 February 2017, the House Standing Committee on Communications and the Arts announced an inquiry into Factors Contributing to the growth and sustainability of the Australian film and television industry. rejecting the proposed amendments to the copyright law which threaten the livelihoods of Australian writers and dis-incetivise creation and innovation. Through consultation and collaboration with the Committee and the current government, the AWG will continue to fight for a stronger and more sustainable film and television industry which enables writers and all those engaged within it (not just the producers who are already supported by Screen Australia and the state funding bodies) to better compete for investment and success on the global stage. To read our full submission, please see AWG submission – Growth & Sustainability Inquiry 20170331. In its submission to the Productivity Commission’s public inquiry, the Australian Writers’ Guild said the industry has outgrown the current copyright system, which provides insufficient protection to performance writers. 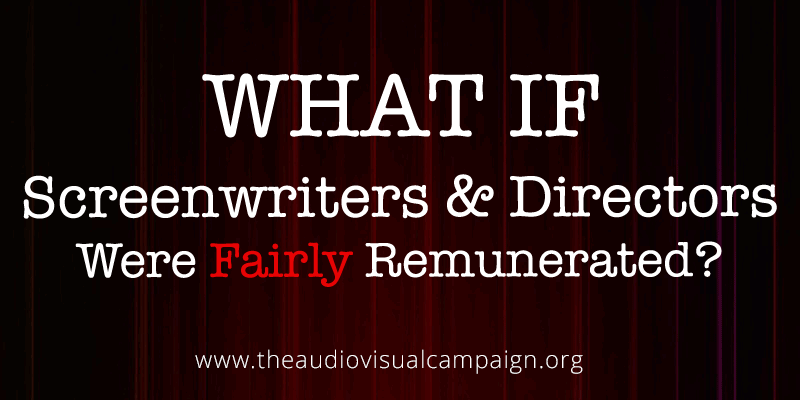 The AWG is calling for copyright reform to enshrine a right to fair remuneration for authors through an inalienable and unwaivable remuneration right to fair remuneration for the success of their work. NPEA – MIA, Catalyst in Question; Arts funding back to the future? The National Voice, the Australian Writers’ Guild’s annual survey of Australia’s 10 largest theatre companies, has concluded that while the overall number of Australian plays in 2018 has increased, original Australian voices on stage have hit a standstill, making up less than 50% of mainstage theatre seasons over four years. The National Voice, a major survey of Australia’s 10 largest theatre companies, has concluded that while more original Australian plays are being produced than three years ago, there is still a shortfall when it comes to balance between male and female Australian playwrights. Efforts to get more Australian works and plays by women in the nation’s major theatres took a step backwards in 2016, according to new figures just out. The National Voice 2016, a survey of trends in Australian theatre programming, reveals a decline in both areas compared with 2015, the first year the survey was conducted by the Australian Writers’ Guild. Playwrights have called for better monitoring of new works that are commissioned, developed and produced by the Australian Theatre sector. To this end, the Australian Writers’ Guild is pleased to present its first quantitative analysis of our national main-stage ecology, revealing who did what in the 2015 season. Click here for your copy, and we’ll let the statistics speak for themselves. The National Voice and Australian Writers’ Guild Ltd is assisted by the Australian Government through the Australia Council, its arts funding and advisory body.